UCU members at 12 English colleges are today are walking out as part of a second wave of strikes over pay. City of Wolverhampton College, Croydon College, East Sussex College, Harlow College, Lambeth College, Leicester College, Petroc and West Thames College. Action was suspended yesterday at Swindon College and Hugh Baird College. The dispute centres on the failure of college bosses to make a decent pay offer to staff who have seen the value of their pay decline by 25% over the last decade. 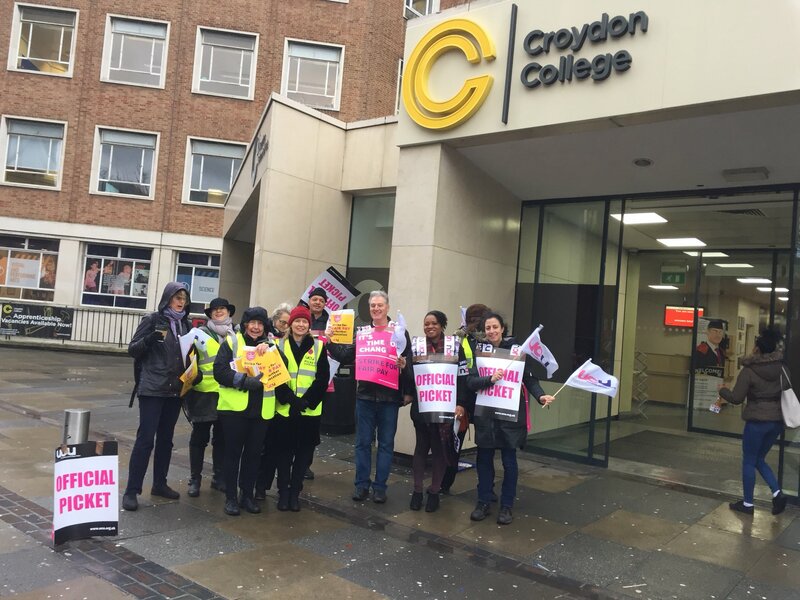 UCU head of policy Matt Waddup said: “If colleges want to avoid further disruption then they need to come back to the negotiating table with serious deals. Hugh Baird College and Capital City College Group have shown what can be achieved when colleges work with us. The strike in Wolverhampton is being backed by local MP Eleanor Smith, who said: “‘I fully support the hardworking staff at Wolverhampton College, and all the UCU members at colleges across the country, who are taking strike action today. As a former president of UNISON, I know decisions to strike aren’t taken lightly, but this government has decimated college funding, leaving staff pay trailing way behind their counterparts in schools. ‘The government should allocate equivalent funding to colleges so they can give their staff a fair pay rise, comparable to what is being offered to school teachers. The pay issue is indicative of the chronic underfunding of further education colleges. This needs to be reversed. UCU regional official Anne O’Sullivan said: “The support from Eleanor Smith is a real boost for UCU members. She is right to say that this decision has not been taken lightly, but staff feel like they have no other option.